I love this home and you will too!! It has it all. Character, Quality, Spacious Rooms, Storage Galore... 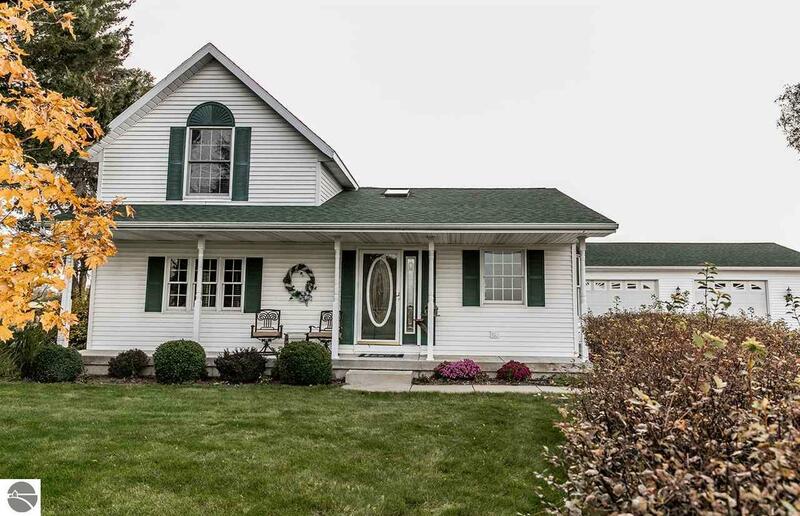 This 3 bedroom, 3 full bath farmhouse has been remodeled and updated from top to bottom. The dream kitchen features a massive granite island, custom built cabinets and is open to the dining and living areas. Escape to your main floor master suite with gas fireplace and private bath with a jacuzzi tub. The basement is the perfect space for entertaining with a wet bar, game room and a separate room that was previously set up as a gym. Need a fourth bedroom? There is an egress window and plenty of space to add an extra room. Then add 600 square feet of dry clean storage. If all this isn't enough, you have a three car attached garage and an enormous steel roofed barn that can store all of your toys, be your workshop and has even hosted weddings! Oh yes, it's also in a great location in Beal City School District. Country setting, minutes from town. Don't Hesitate!